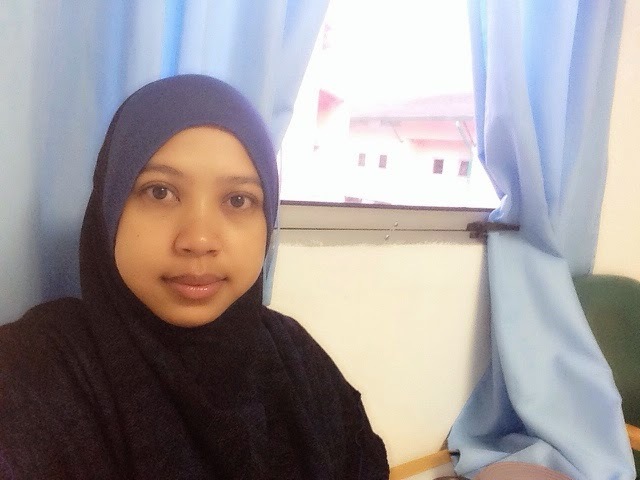 Dari Mata Hati Dr Aisyahafiz: Tumpah Darah: How much blood can we lose before we become sick? Tumpah Darah: How much blood can we lose before we become sick? Alhamdulillah masih diberi peluang untuk berbakti sebagai hambaNya hari ini. 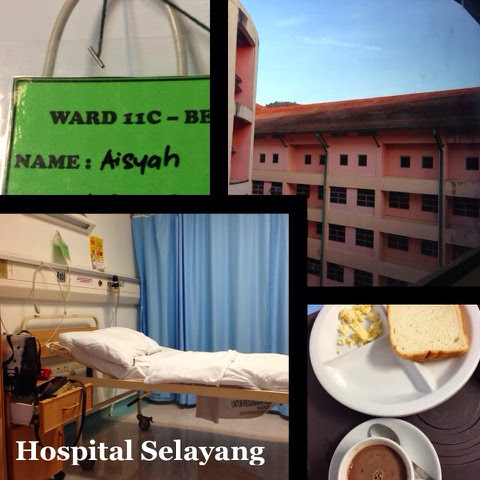 A lot of people were asking what has happened to me & why was I admitted again in hospital Selayang. I am sharing this not to ask for sympathy, to dramatize the event atau tak redha dgn ujian Allah, but my intention is to educate the public. It happened to me, and it can happen to anyone. Here's how the story goes... Bismillah, may Allah help me in relaying this in the best way, that is beneficial to my friends & readers. After my last miscarriage, 6 weeks ago in March 2014, I took an injection for contraception, called Depo Provera, just before I was discharged from the hospital. The miscarriage itself was painful & devastating for me so I cannot imagine if I get pregnant too soon & it ends with another miscarriage. It'll just be too hard for me. I have been having some spotting constantly after the injection, for the whole of 6 weeks. Something like very light menses, but I knew it was a possible side effect of the injection so I bear with it. I considers it as istihadhah & prayed my usual 5 times a day prayers except for 7-8 days that I usually get my period. I went to Japan with my parents for a conference in early April, and was perfectly fine during the 9 days trip. I was ok up till Wednesday the 23rd of April. That day, I ran clinic in the morning, have clinical teaching session with the medical students, examined 7 premature babies at noon & then rushed to Selayang for a seminar with the students in the afternoon. I was feeling tired after an hour of seminar & I asked the students to continue the next day. There were no sign at all. I woke up at 5am, the early morning of the 24th April with a feeling like a gush of fluid just came out, not unlike my previous miscarriage. I got up & tried to get to the toilet but the blood started dripping, staining our bedroom floor, with the trail leading to the bathroom. At first I thought it is just like menses, so I got some pads & I wanted to make ablution for prayers but the bleeding just wouldn't stop. As I cleaned the bloodstain in the bedroom, my husband woke up & asked me what was wrong. By the time I finished cleaning the floor, I felt another gush of blood & this time I stayed in the bathroom. I soaked 10 pads within an hour and a half. There were times I couldn't even get up from the toilet bowl & the bleeding just keep dripping with clots, worse than my miscarriage . For 90 minutes there were not a minute that passed without me passing out blood. One time I tried to put on a pad to solat subuh (cos it's not my menses time, I consider this as istihadhah) , the pad was soaked in less than 2 minutes. I was thinking "How can I bleed so much? Like how much of endometrium can I have to be shed?". I thought after sometimes the bleeding will just stop on it's own & I can resume my day. This is coming from a person who has been a doctor for 10 years. What I didn't recall was that the uterus is a highly vascularised organ & has potentials to bleed like this. I managed to pray my Subuh prayers while wearing 3 pads at a time, feeling the constant flow of the blood. I knew I had to get to the Emergency Department soon as I started to have headache, which was a sign of anaemia or low haemoglobin secondary to blood loss. At 6.45am, we rushed to the hospital, with our 2 kids on tow, hoping that we can send them to school afterwards. They have a school trip on that day & I just don't want them to miss it. The eldest child stayed at home as she was down with chicken pox. On the way to the hospital, not 5 minutes after we left home, I started to feel giddy, I got blurring of vision & I felt cold. At first I cried & apologize to my husband & told him that I'm scared. My husband reminded me to say istighfar & syahadah. Then as I opened my eyes wide & I can hardly see the lights, I thought why should I be scared if I'm dying? It's just a process I have to go through, and I stopped talking & just said my shahadah. Indeed the word "Lailahaillallah" is very light to the tongue, even in a very desperate situation. My thoughts was that I am going to collapse at anytime as my vision was almost completely gone, I was pre-syncopal (near-fainting) and I sincerely thought my time was near. I thought, " It's ok. If it is my time, I am ready. My husband is beside me, my 2 kids at the back & I just kissed my eldest child. I want to go like this, while I am remembering Allah." My husband was of course extremely worried, tried to make me continue the conversation (to prevent me from slipping into "sleep") & sped the car to the A&E. The word Lailahaillah never left my lips & heart. I remembered reaching the Emergency Department, I kissed the 2 kids & was wheeled to the Yellow Zone by a paramedic, while my husband parked the car. I was cold & clammy, I can only see bright lights & couldn't even lift myself to get into the bed, so two paramedic had to hoist me up. My blood pressure was 80/49 on arrival , with very weak pulse, meaning that I have lost a substantial amount of blood volume. My pulse rate was normal at 85, when I should be tachycardic (racing heart beat), showing that I was in a state of decompensated shock. 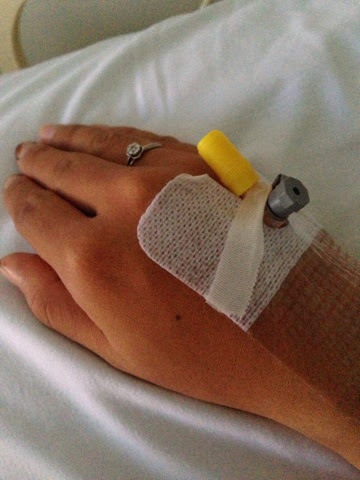 When they put in a cannula, I can't feel my hands anymore. All I remembered after that was the sight of my husband, standing outside my cubicle with my 2 small children & at that moment it just clicked in my mine, " I'm gonna be fine. We made it to the hospital. I can't let my husband raise our children without me." I can't remember anything for half an hour after that. After 3 pints of normal saline drip, my blood pressure was better and I regained my eyesight, Alhamdulillah. The bleeding has lessen as I was lying down, but I still soaked 2 more pads in the Emergency Department. I was still giddy but much, much less than before, and I had palpitation on moving. But otherwise I was stable. I was admitted to the Gynae Ward & not long afterwards, an O&G consultant came & examined me. He did an ultrasound scan which showed that my was uterus filled with blood clots with just one tiny fibroid but otherwise normal. No retained baby sac and no sign of infection in the womb. Speculum examination showed a huge blood clot, which was the reason I stopped bleeding. The clot passed out and the rest of the cervical examination was normal. They started me on IV tranexamic acid for 1 day (1g QID) to halt the bleeding , then the medication will be continued orally. Today, a day after the event, I feel much better, Alhamdulillah. Very grateful to be alive still, and looking forward to see my children again. I feel very tired with mild residual headache but otherwise I'm fine. It has been a difficult & challenging pregnancy & miscarriage, and a prolonged aftermath. Yesterday, I requested for a single room cos being in a 4 bedded room surrounded by pregnant ladies proved to be too much for me to take, that I cried in front of the nice consultant, so maybe I have not recovered emotionally like I thought I have. It has been a very traumatic experience for my husband & me. I know some people have gone through a lot more, but this is how much I can take for now. I have full trust in Allah that He will only give us tests & trials, only when He give us the strength with it as well. In shaa Allah may Allah forgive our sins, and replace the sadness & grief that we feel with happiness in the hereafter in shaa Allah. 1) Not all miscarriage are simple ones. 2) Injecting Depo Provera right after miscarriage or childbirth will carry risk of bleeding. Consider other methods such as the pill or barrier method in the first few months. 3) Do not delay seeking medical treatment if you have any significant blood loss. This is bleeding from my non-pregnant womb. Imagine those going through home birth? The huge, 9 months pregnant womb can bleed torrentially & cause death very rapidly. 4) Headache, short of breath, feeling giddy, and feeling "fainty" are symptoms that you have loss a lot of blood. Do not wait for ALL symptoms to appear, but seek medical treatment as quickly as possible. 5) Do not wait for "looking pale" symptom, it might be too late. 6) It is important to have a normal baseline haemoglobin on full blood count so in emergency case, your body can compensate better. My baseline was 16g/dL, normal for ladies being 11-15. I have lost 4.5g (haemoglobin today 11.5mg/dL) , and I become symptomatic, but my body can compensate better in shaa Allah. Imagine if my baseline is 11, with loss of 4g/dL, it'll come down to 7, which may lead to a cardiac event. So healthy diet, ladies! 7) Put yourself & your health first before others. I was thinking how the kids will miss their school trip if we don't get to send them to school, in the expense that I delayed my hospital treatment. 8) Dear husbands, appreciate your wives. Pregnancy, no matter how it ends, either within a happy ending (a healthy baby) or a not-so-happy ending (a miscarriage), is taxing to the women's body. We need time to recover, and sometimes we go through life- threatening situations to bring that child into the world. All we ever ask for is "appreciation". Alhamdulillah Allah sent me a husband who is also a doctor, who's always by my side to take care of me, through the physical & emotional turmoil. He has been there through thick & thin, and he is indeed my bestfriend & my soulmate. May Allah repay his kindness with the most handsome reward in the hereafter in shaa Allah. 9) The importance of having someone who will remind you to remember Allah, especially during critical moments of illness or death, cannot be emphasized enough. Syaitan will be there to tell you to feel sorry for yourself, to be mad at Allah for putting you through the trials, to give up hope, but by remembering Allah, you are 50% cured already. 10) I cannot stress enough how important zikr is. I must admit (shamefully) that I don't think I am doing it enough. Yesterday when I nearly fainted, my husband asked me to seek forgiveness from Allah by saying "astaghfirullah", which I did several times, but after that I found it difficult to say it. I went back to my favourite zikr that I like to say when I'm driving which is "Lailahaillallah". My thought was, I want to end my life with the last words being these beautiful words of Lailahaillallah. Imagine if we have not been practicing zikr. Do you think we can do so easily when we are very sick, and very close to death? Maybe the reason the word Astaghfirullah was difficult for me, was because I have not utter them as frequent as I should. Another reminder from Allah to me. Verily in everything we experience there are lessons to be learnt. And Allah will keep testing us, until we are shaped & remodeled so that we'll become a Muslim who will see the world from the Islam point of view. Verily Allah's grace & love exceeds his wrath. May Allah protect us from the deceiving worldly life & may we use the little time that we have left in this world to be the best of slave to Him & the best Khalifah to the rest of the ummah in shaa Allah. Subhanallah Alhamdulillah Allahu Akbar! when reading this, it reminds me yang i have the risk of torrential bleeding at the end of my pregnancy trimester dr.... anyway, salam jumaat!! !